The Richmond Heights Police Department responded to 85 traffic accidents in the month of December, 2015. For 2015, we responded to 812 accidents. This is 53 more than were reported in 2014. The Richmond Heights Police Department responded to 65 traffic accidents in the month of November, 2015. For the year, we have responded to 727 accidents. This is 53 more than the same time period in 2014. 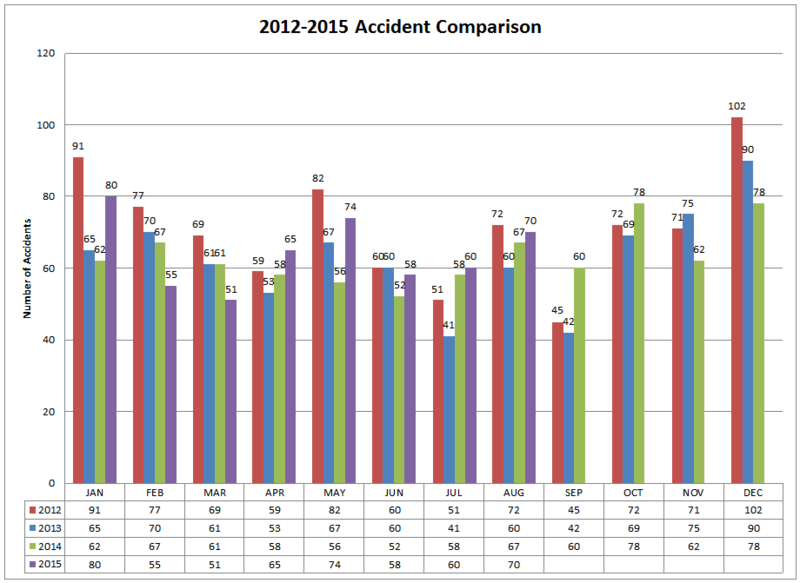 The Richmond Heights Police Department responded to 81 traffic accidents in the month of October, 2015. 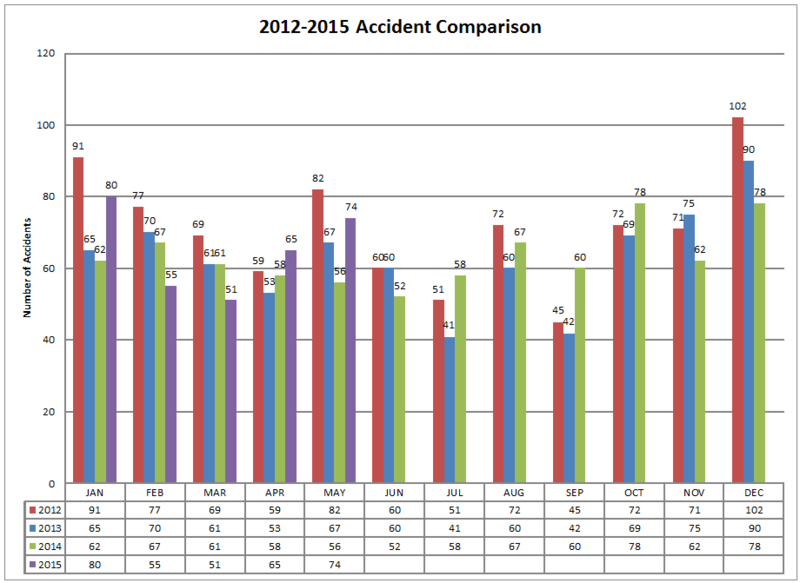 For the year, we have responded to 662 accidents. This is 50 more than the same time period in 2014. The Richmond Heights Police Department responded to 68 traffic accidents in the month of September, 2015. 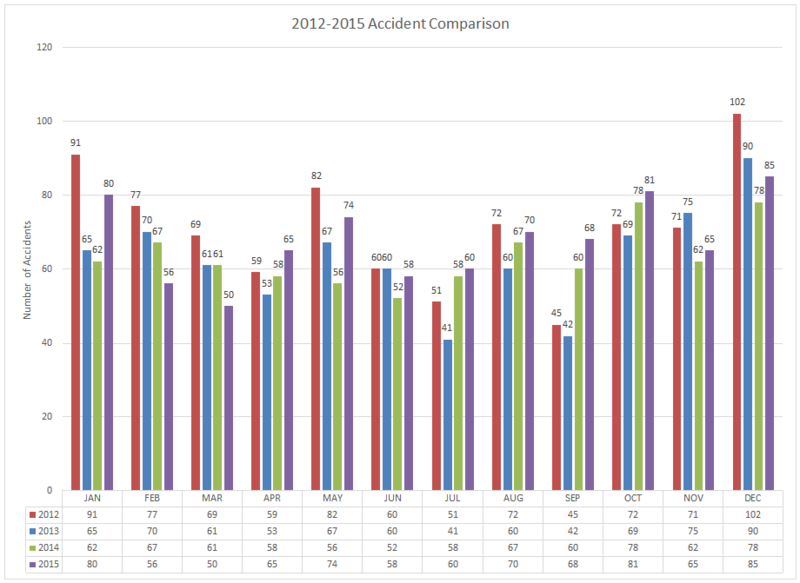 For the year, we have responded to 581 accidents. This is 37 more than the same time period in 2014. The Richmond Heights Police Department responded to 70 traffic accidents in the month of August, 2015. For the year, we have responded to 513 accidents. This is 29 more than the same time period in 2014. The Richmond Heights Police Department responded to 58 traffic accidents in the month of June, 2015. 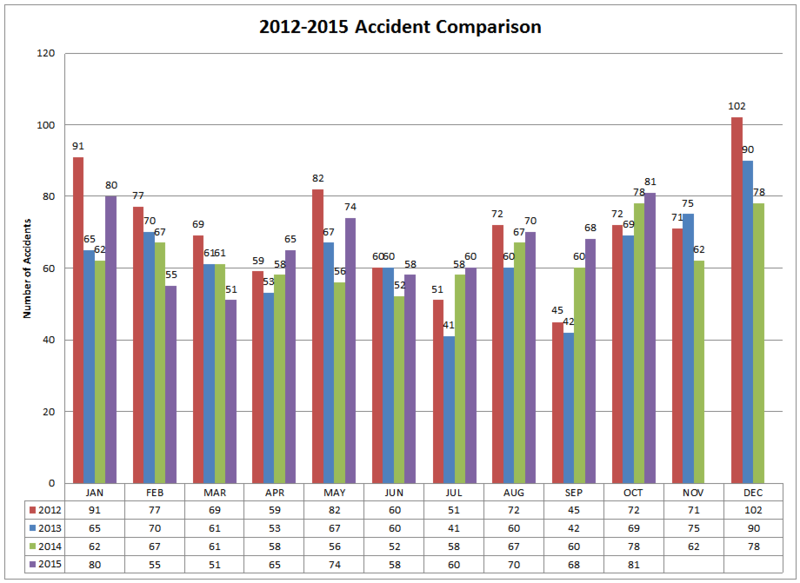 For the year, we have responded to 383 accidents. This is 24 more than the same time period in 2014. 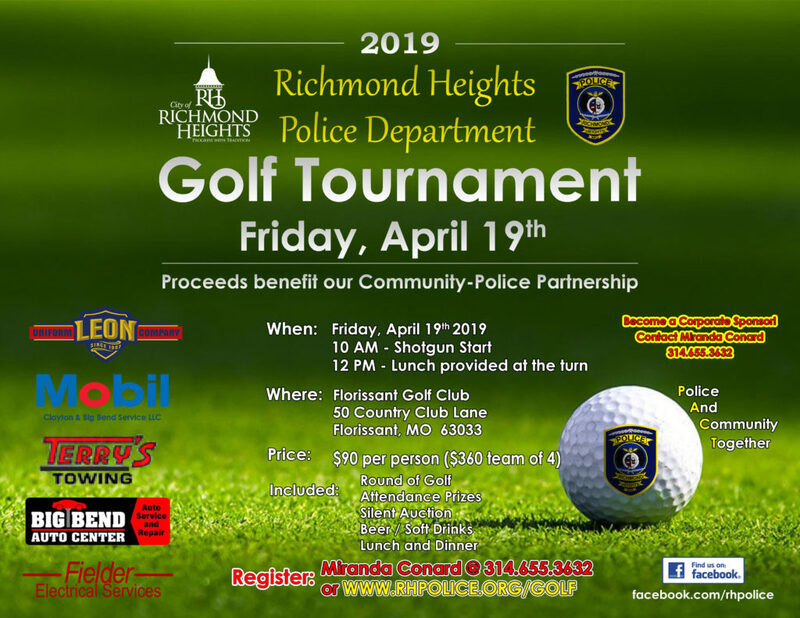 The Richmond Heights Police Department responded to 74 traffic accidents in the month of May, 2015. For the year, we have responded to 325 accidents. This is 18 more than the same time period in 2014.